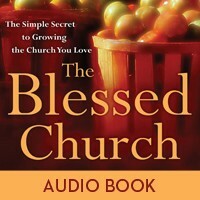 The Blessed Church ~ Now on Audio CD How can I help my church stay focused on its purpose? What would a culture of generosity look like for my church? What part does rest play in a healthy church? How can I help my church stay focused on its purpose? What would a culture of generosity look like for my church? What part does rest play in a healthy church? Whether you are a pastor, a volunteer, or a church member, you want your church to grow well. After all, there's no better place to experience God than in the loving, healthy community of a church. But what does an effective church look like? Is it possible to grow and be healthy at the same time? Pastor Robert Morris has experienced firsthand the spiritual and relational excitement of a growing, dynamic church. In The Blessed Church, Pastor Morris brings you practical wisdom for cultivating real growth by nurturing true and biblical health in your spiritual community.